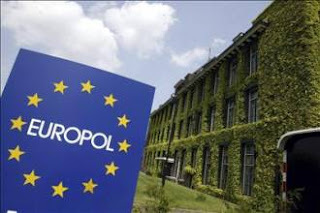 Multiple articles were published yesterday and today in major news agencies around the world regarding the Europol operation that arrested 75 people yesterday in nine different countries in Europe under charges of smuggling. Operation Baghdad targeted a network primarily consisting of Iraqi nationals and former nationals facilitating the illegal immigration of citizens from Afghanistan, China, Turkey, Bangladesh, and Iraq into and within Europe. No where in the release is it mentioned that there were suspicions or charges of human trafficking although it did mention that the migrants often suffered through cramped conditions while being smuggled into the EU. However, the BBC and the Times Online reported that this effort was a part of a bust on human traffickers. Times Online: Dozens of suspects were arrested in Britain and across Europe yesterday in one of the largest co-ordinated crackdowns on people-trafficking. They are different problems, even though their paths sometimes cross. Essentially, smuggling is the facilitation of illegal border crossing or irregular stay, while the final purpose of trafficking is exploitation. Also, borders need not be crossed in trafficking (i.e. internal trafficking. By not distinguishing the issues, it creates confusion among the public and hinders general awareness of both problems. It impedes a more nuanced and comprehensive approach to tackling the problems effectively. While, other news sources such as AP, Al Jazeera, and CNN (although CNN used the term "funneling" immigrants, which is not an official term) did not place trafficking anywhere in their reports, the fact that some news agencies did confuse the two terms shows that there is still a lack of awareness among journalists covering these stories, even in major news networks. The AP story did include an interview with a representative from UNHCR who commented on how this operation, for example, affects refugees desperate to reach Europe. William Spindler, a spokesman for the U.N. refugee agency in Geneva, urged authorities to consider the interests of refugees who at times count on human smugglers to help them flee misery at home. "We welcome actions to crack down on human smugglers, some of whom are utterly ruthlerr characters who abuse, exploit, rob and sometimes even kill their clients. But it is important to ensure that their victims are properly protected," he said. "An unintended effect of cracking down on human smugglers - as important as that is - may be to close the only avenue left for refugees to escape persecution or conflict," he said. He noted cases in which some Iraqis had been granted refugee status in European countries but were unable to get there without turning to people smugglers. "For many refugees it is well nigh impossible to get passports, visas or plane tickets," Spindler said. "They have to travel in an irregular way in order to save their lives and reach a secure place." An article such as this one approaches these issues from multiple points of view without confusing them. Law enforcement must also be careful in these situations with migrants who may, in fact, end up becoming victims of trafficking. The importance is to approach the migrants with a consideration for human rights and the possibilities facing these migrants as to why they went through a smuggler in the first place. However, it is the media's job to be responsible and not confuse the issues, thus hindering better public awareness and a better response to each of these problems.